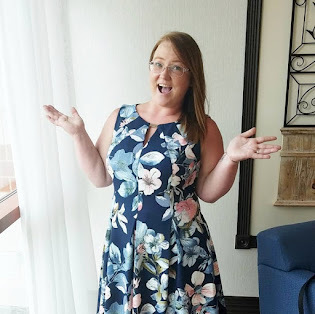 This Summer I have been taking more showers due to the high temps and sweating, and since I have been bathing more, my skin, especially my feet, has been really dry. To combat the dryness, I have tried a few lotions after my showers, but didn't like that they either were either too fragrant or greasy; and I felt like I was going to have to deal with dry skin until Fall. I also had the notion of throwing out the idea of flip flops, because no one likes to see some cracked heels. It just looks bad. My skin salvation finally came in the form of a brand called Aquation. Powered by Hydro Balance, Aquatation uses an advanced dual phase technology that delivers hydration and creates an invisible barrier to help prevent moisture loss while encapsulated actives penetrate deeply for long-lasting hydration. 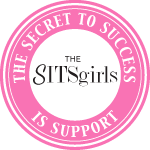 * The products are dermatologist recommended, can be used on face & body, are fragrance free, and are non-comedogenic (meaning it is specially formulated to not cause blocked pores). 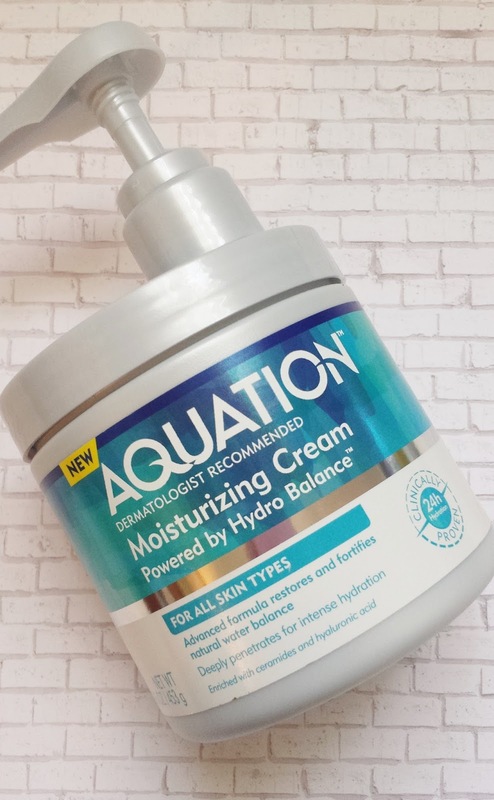 Aquation consists of a family of hydrating cleansers, creams, and moisturizers; and I was given three of their products for review via Brandbacker. The Gentle Moisturizing Cleanser washes away dirt, oil and makeup while infusing moisture to reveal fresh, hydrated soft skin. The formula won’t over dry or strip your skin, and is enriched with ceramides and hyaluronic acid to help maintain the skin barrier. The moisturizing cream features an ultra rich formula that penetrates deeply for 24 hour hydration and helps to relieve dryness, soften skin, and sooth the itch and irritation associated with moisture loss. The advanced dual phase formula enriched with ceramides and hyaluronic acid delivers instant moisturization and creates an invisible barrier to help prevent moisture loss. It is also non greasy & quick absorbing. 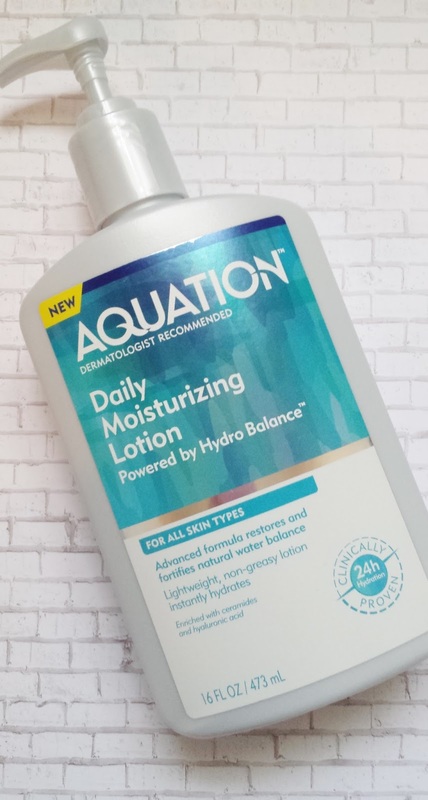 The daily moisturizing lotion is a lightweight lotion that is enriched with ceramides and hyaluronic acid to restore and fortify skin’s natural water balance. It features a quick absorbing formula that provides all day hydration to help relieve dryness, soften skin and sooth the itch and irritation associated with moisture loss. At first I was skeptical about using it to wash my face. The formula feels a little thick and doesn't foam or lather well. After I washed my face, I was pleasantly suprised to see that my face felt soft and moisturized, not tight and dry (like some cleansers I have used). I have yet to use it on my body, but I can guarantee that my body would feel the same way. The one thing that I didn't like is that when I used it at night, the cleanser didn't take off ALL of my makeup. To me, it wasn't a big thing because it's rare for me to find a cleanser that actually takes everything off. Instead of using it at night, I switched to only in the morning, and my face felt nice through out the day. I wasn't too sure of the cream at first, but after one use, I fell in love. 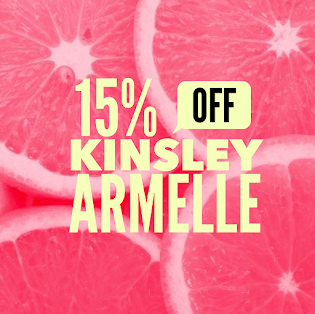 It starts out as a very thick formula, but once you warm it with your hands and apply, it spreads amazing and turns into a light weight cream that leaves your skin moisturized. According to Aquation's website, the cream is supposed to hydrate for 24 hours, but for me, it was more. I went swimming two days after applying it on my fresh shaved legs after a shower, and I could tell that the cream had left a barrier. It was a weird feeling, but I loved it. Almost like the cream, the lotion feels a little thick before it melts into your hands, but transforms into a lightweight formula. I have been using it as a daily hand lotion, and my hands feel great. My knuckles tend to itch at times, but the lotion seems to soothe the irritated skin. 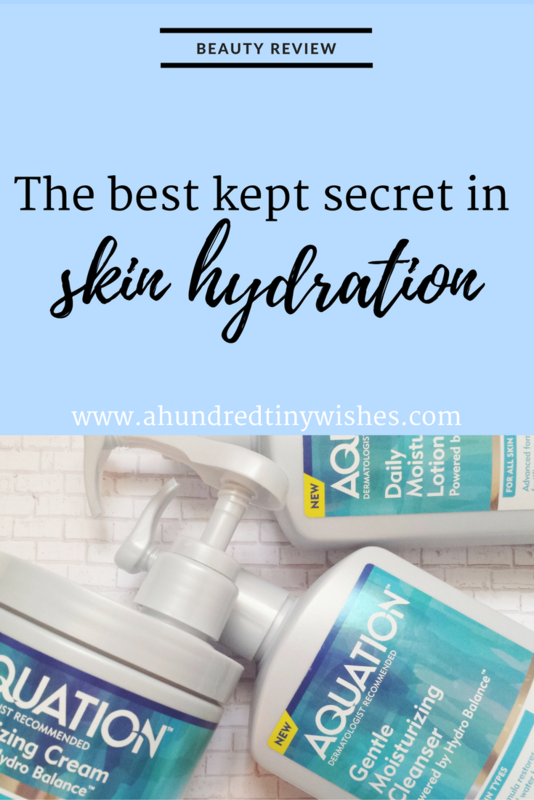 As you can tell, I really liked the Aquation trio that I received and tried, and highly recommend it to anyone with dry skin issues, or someone just looking for a bit more hydration in their skin care routine. 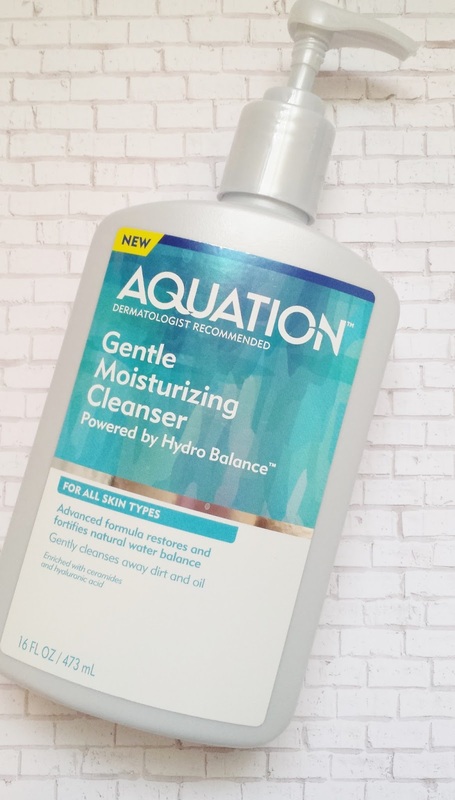 Aquation is inexpensive, comes in rather large bottles, and is offered exclusively at Walmart. 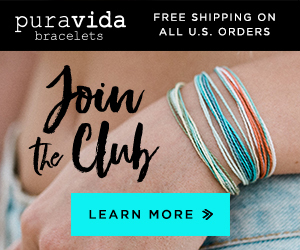 If you are interested in trying any of Aquation's products, here's a coupon to save you some money AND you can also keep up to date with Aquation via Facebook, Twitter, & Instagram. 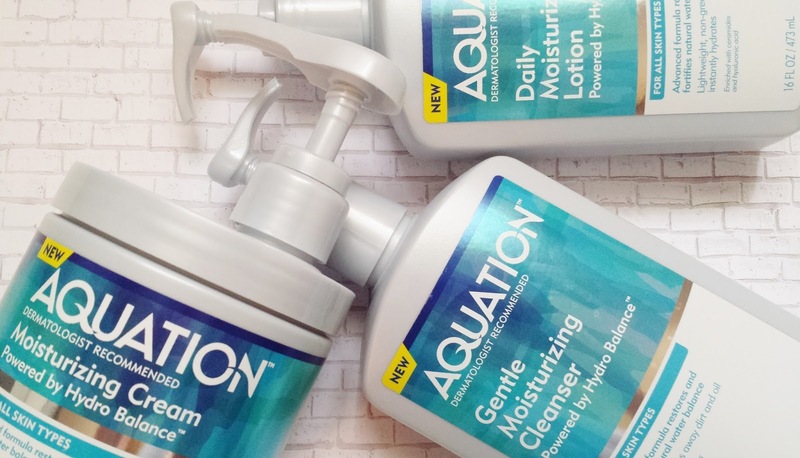 Have you ever tried Aquation?